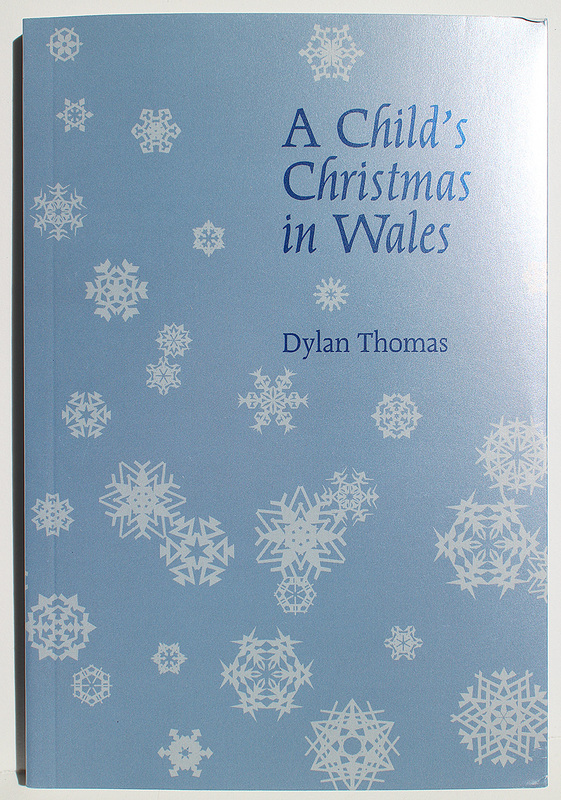 I designed the cover and interior for this New Directions pocket edition of A Child’s Christmas in Wales. 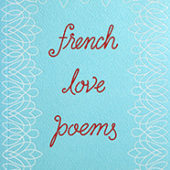 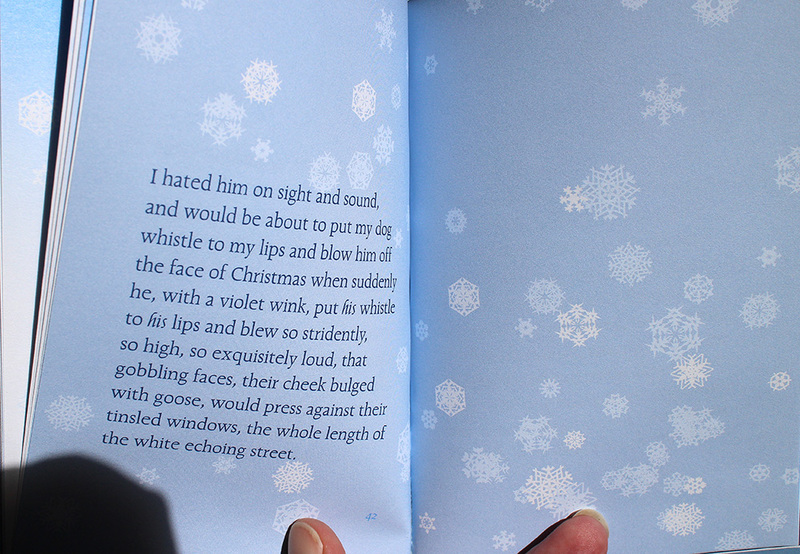 I love this piece of writing, as most people do, and to me it has always evoked snow. 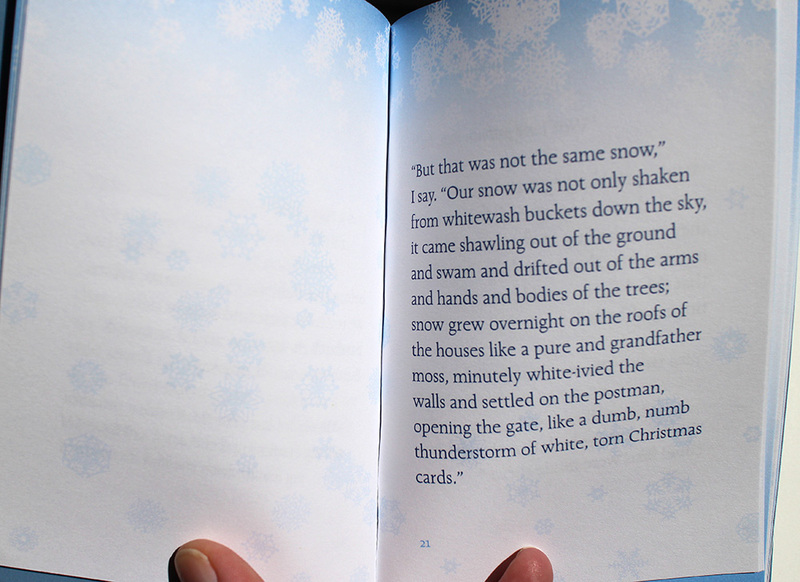 Lots and lots of snow. 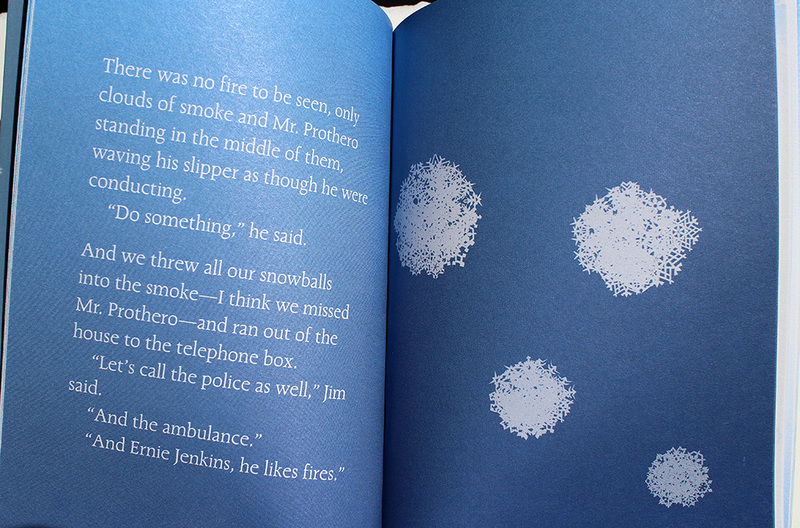 So I designed a number of snowflakes which appear throughout as illustrations of the atmosphere of the snow, falling, settling and “shawling out of the ground”. 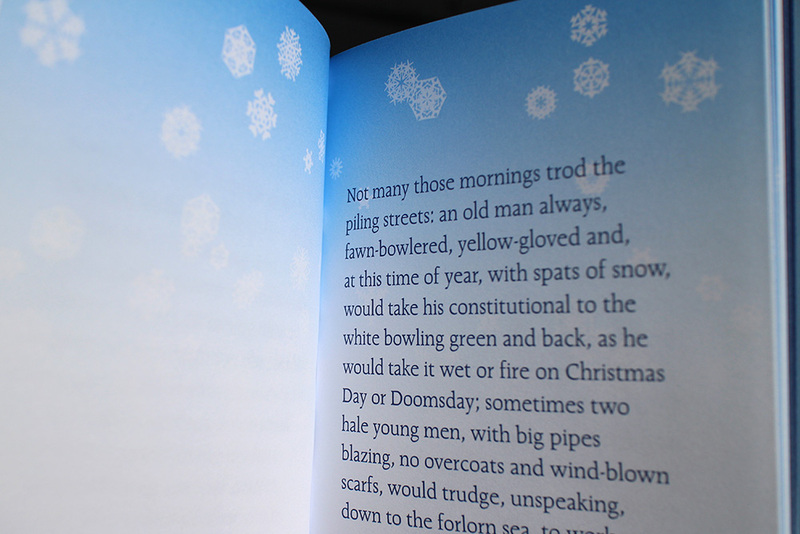 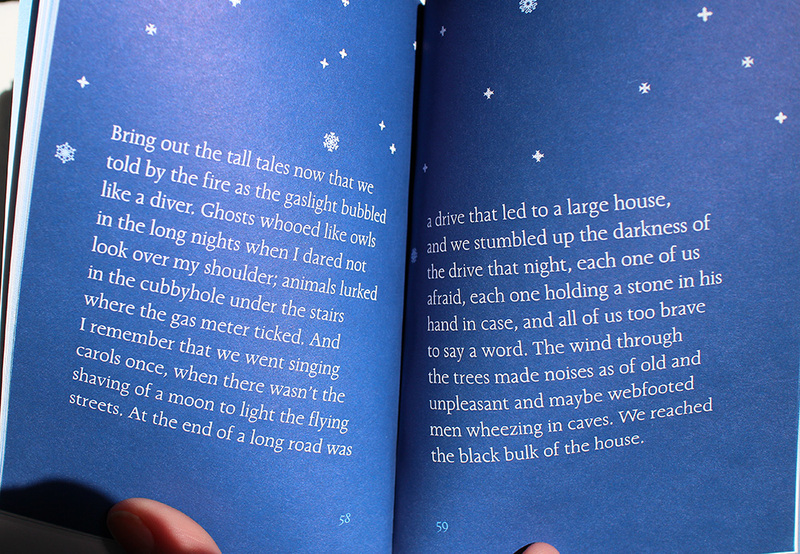 The book is printed in two colours, a dark and light blue, used in various tints to evoke the types of snow, time of day and atmosphere.